Our chance to escape the orphanage involved an American family who lived nearby. One day the lady of the house was out on her morning walk and I decided to be bold and ask if we could play in her grounds – they had a huge compound with a pool and everything. She said yes and we started going every day. Their two security guards were very friendly to us and even started teaching us basic stuff like the alphabet. The lady told us that she wanted to improve the conditions of the orphanage, so I saw my chance. I decided to trust her and tell her the real story of what was going on there, which I did through a translator. She then helped me go to the authorities and make a formal statement to the government child welfare board about the abuse we had suffered too. I wanted the place to be shut down. That lady was so kind to me. She begged me not to go back to the street but to come with her to an organisation called The Umbrella Foundation. I found out that because of my complaints, the wheels had been set in motion for the kids to be rescued from that bad orphanage. Umbrella was working with the government to close my old orphanage down and take the children in. I went to Umbrella and they had heard about me, and immediately offered me a home and even the chance to go to school if I wanted. At the age of twelve I felt too big to start in Class One, so I said I could teach myself – like improve my English by talking to the donors and staff, or learn computer by hanging out in the office. I was given loads of opportunities, and I became close to the staff working there pretty quickly. My main priority was ensuring the children from my old corrupt orphanage got out of there. By the time the legal permission had been granted for Umbrella to rescue the children, the owner had moved the orphanage several times to avoid being caught. I led the effort to trace them, and it took me six months. We found them in a tiny, filthy place in the tourist area of Freak Street. Eighteen kids were living in one room; it had a naked woman painted on the wall, the drinking water was dirty and all the children were suffering from diseases such as typhoid. The orphanage owner was sent to jail, but he came out immediately due to his connections. As soon as he was out he started a new orphanage – it is like his trade, and he can make good money from it. He still has an orphanage to this day. In fact, all the same faces are still in the business. Orphanage owners that have their places closed down just start new ones, they are never really punished. Umbrella found sponsors for me and the other 18 children. I still believe that they did the best they could for the kids – they gave us the best food, the best clothes, the best sports programmes, the best chance for education. The main thing that Umbrella got right is that they listened to the kids. Of course there were sometimes problems – but when there were, the children got to have a say. It was my choice to not go to school – in fact I asked Umbrella if I could have a job there, even though I was a kid myself. They agreed as they needed someone to help out with the new children they had just rescued – as I said, the kids were all sick and needed long term medical treatment. They were also very scared and finding it difficult to trust someone new, so they were delighted to see a familiar face. So I was given the job to accompany the new children to all their hospital appointments, and it worked because Umbrella trusted me and so did the kids. My role continued after our children were better as Umbrella rescued children from other bad orphanages so there was always someone needing to go to the hospital. It is how I developed close bonds with all the children there, because I was the one to accompany them when they were very sick. Still to this day the kids from Umbrella see me as a helper for them, they still call me up for support and advice. Umbrella was like a big open school for me. My job was to do introductions for new volunteers and give them a tour, which I liked as I got to learn all about different cultures. I was also able to develop my interest in film by playing around with cameras, and in 2007 I made my first movie, which was a short documentary film about Umbrella. I also got a great insight into what was happening in Nepal at that time and where the kids were coming from. It slowly came out that from all the children looked after by Umbrella – over 300 of them – hardly any of them were true orphans. It started to become clear that the children were victims of a well-organised trafficking ring that separated children from their families to make them seem destitute. Umbrella connected with another organisation called Next Generation Nepal and decided that the best option for the children was to reintegrate them back into their families. So this became another part of my job – trying to trace relatives and map out where the children were from. It was a long process of interviewing families and looking for leads. It was clear to me that there were disadvantages to bringing up children in an institution instead of allowing them to be with their families. A lot of the kids were quite messed up. Some of them started to be very demanding and a little negative – Umbrella had given them a lot but they still wanted more and more. I heard some of them say things like “we used to think that the only reason we get money is because of the organisation, but now we realise that the only reason the organisation gets money is because of us.” I really didn’t like this entitled attitude – Umbrella was not the same as most of these other corrupt places – but I could see it from both sides and was often the mediator between the staff and a disgruntled child. One thing that became clear to me is that keeping children in institutions isn’t good for their mental health, and that sending them back to their families was the best option. At this time I started to realise how different my situation was. I had not been trafficked, I had come to the city on my own and had grown up on the street. Somehow in my quest to see how big the world was I had made my world so small. I grew tired of having to repeat the same story to all the donors that came through the organisation. I decided that this was not my world and I headed back to the streets of Thamel. I was seventeen. I came back to the streets with nothing. Initially I was confused – I had come out of a place that was strictly regulated to a place that had no rules. But I was happy for the freedom. I had almost forgotten my family, though in the back of my mind was always this idea that I had to make something of myself before I could go back to them. I decided to rent a camera with the little money that I had and make a movie about my friends I had left on the street. I went down to the slum area of Kalimati where the families sent their children out on the streets to collect plastic and beg. Actually as there are new tourists every day the kids make good business begging. I made a film with the footage that I called “Flowers in the Dust”. I never wanted to be an NGO worker. I knew I belonged to the street and always had a strong urge to help and give something back, but after experiencing the orphanage industry and the way fundraising works I refuse to get too involved in any particular NGO. Most of the people working in NGOs have never been desperate and have never lived on the streets, so they have no ability to empathise with the people they are helping. I know what it feels like and so never judge. After making the film about the Kalimati slum I joined up with some other friends to sponsor some kids to attend school. It wasn’t that their parents couldn’t afford it, just that they made more money begging. But with a very modest amount of money, we got 50 kids off the street and into school. There was even an article written about our work, “Miracle in Kalimati.” Even though I said I didn’t want it, I had become a social worker. It was pretty challenging for me as I didn’t have a fixed address at that time, I was still partially on the street, partially crashing at friends’ houses. So after six months I transitioned the programme to a registered NGO that could give the children ongoing support. One thing that used to play on my mind was that half the kids at Umbrella were from the same part of the country that I was from – the Karnali region. It’s an extremely remote and poor area. I was shocked to find that out – it makes sense for kids from closer poor areas to end up in Kathmandu but Karnali is weeks of travel away. I realised that doing things to help children on the street was not really tackling the root cause, we needed to be supporting children to have opportunities in their home regions. I reconnected with my family eventually when I was 18. I maintain that I have a great family – I have no bad feelings towards them at all. I always say that the problem was with me and not them. When I went back I found out that I have a brother – neither of us knew that the other existed when I first went back. He is now living with me and I try to guide him as a big brother should. My main passion these days is raising awareness about these social issues in my country. I use my videos and I have been running educational workshops. It can sometimes get tiring to tell my story over and over, but if it can stop child exploitation then I am ready to repeat it a million times. If you have enjoyed reading Sushil’s story, next week on the blog we will be publishing a question and answer session with him. Please send any questions for Sushil to the Learning Service contact address or post them in the comments. 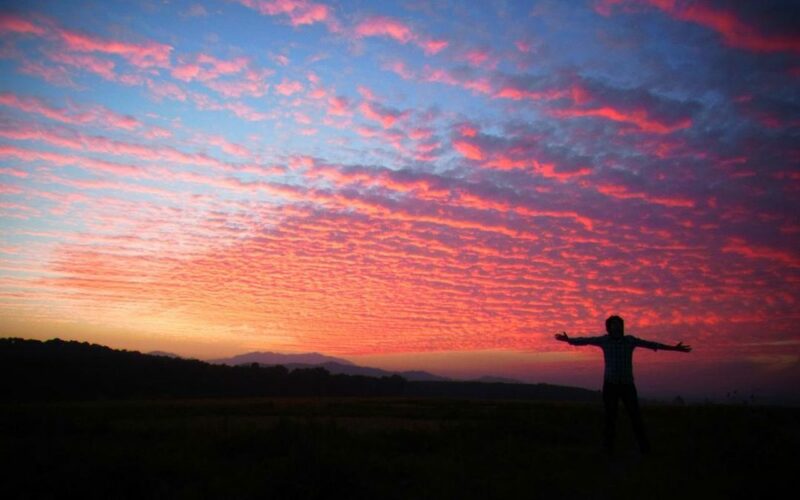 Sushil Babu Chhetri is a freelance photographer and filmmaker who is based in Kathmandu, Nepal. His films include Flowers in the Dust and Letter to God. 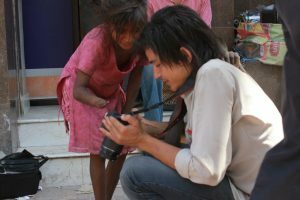 He is also an activist campaigning on behalf of children living on the street and in orphanages. You can follow him on YouTube and Instagram. Great to read the second instalment Sushil! Hope to meet after the middle of next month in KTM! It’s nice to know and have an incite to you Sushil, knowing you this many years and not realising the help and love you have for other children, to me you are one of the best for the children after all your experiences that you have been through. Your films are amazing and the world should see them. Thank you for being you, we need many not people like you in this world. Your brave and courageous. Sushil, your story is incredible. It provides powerful insight into the plight of many kids living on the streets in Nepal. You’re work has helped so many children and continues to do so. I am so happy to call you my friend. Sushil, I have known you for many years now and think you are an inspiration to so many. Your photographs are legendary and your films insightful and quite brilliant. I feel privileged our paths crossed when they did and we remain good friends. Enjoyed part 2 of this blog.Thanks for the efforts you have made to bring the plight of these chidren in so called “orphanages ” to my attention. Great work Sushil Bhai I am very happy to hear your heart touching past , I am a eyewitness because I was in umbrella at that time, go ahead….